Looking for a project management conference to attend in 2019? These global conferences address not only project managers’ demands but also showcase recent developments in manufacturing, healthcare, shipbuilding, engineering, and construction. Due to the dynamic rate of changes in these industries, this year’s events will mainly focus on tools and techniques for project leaders to fight project complexity. Jump to the country you want to visit by clicking below. March 6–7, Vienna — The third annual Health and Safety of Employees Management Summit will bring together experts to share best practices and latest developments in the field of health and safety. Speakers from Siemens, Electrolux, Boliden, Linde, and other market game-changers will talk about health, safety, and environment (HSE) leadership and how to succeed in HSE management using recent technology and software solutions, cost-effective approaches, automation, virtual reality, and other tools and methods. May 13–14, Vienna — The Digital Leadership Forum will bring together experts from top businesses including Vodafone, Philips, L’Oréal, Roche, Coca-Cola, and Philip Morris to discuss digital trends and practical experiences with digitalization and change management. Learn about digital transformation, engagement strategies for employees and management, and how to manage stakeholders in digital projects. Note that the whole conference is advertisement-free. Sponsored talks and vendor talks are not allowed. May 23, Vienna — HAPPYPROJECTS 19 will gather project leaders and academic researchers to discuss how to reset project management and make it more agile using new theoretical developments and best practices. May 23–24, Vienna — The second annual Portfolio & Project Management Summit gives you the opportunity to learn from industry experts about the next developments in portfolio and project management. Key topics will be Project management under complexity and Best practices in project measurement and evaluation. February 26–27, Sydney — The fifth PMO Leadership Conference will help you find the right methodology for your PMO, transition successfully from waterfall to agile, enable change management in projects through the PMO, and learn the latest about effective leadership. February 28 – March 1, Melbourne — 1st Conference fits perfectly for those who are promoting a culture of agility in their organizations. Opening speaker Lisette Sutherland, author of the book Work Together Anywhere, will talk about how to stay agile while working remotely. You’ll also find talks on agile leadership, service design, design thinking, and even how to become an agile country. Stay inspired and up to date! May 27–28, Gold Coast — PMI Australia Conference is intended for game-changers in the Australian market. Improve your skills to deliver projects faster and more efficiently with talks by Michael Lutomski, Global Space Expert at SpaceX and the NASA International Space Station who has 10 years of experience as Risk Manager for the International Space Station, and Holly Ransom, the CEO of Emergent, who has worked with the likes of Microsoft, Virgin, INPEX, Europcar, KPMG, and AIS as well as local, state, and federal government departments around the globe. Check out the whole list of speakers to get a feel for the conference, use a handy template to convince your boss, and change the game together with industry leaders. October 20–22, Melbourne — The AIPM National Conference is an annual conference held by the Australian Institute of Project Management. It provides project leaders with an opportunity to network with peers and exchange knowledge and experience in the field. Tracks for previous years included strategic planning and prioritization, the PM toolkit, and critical skills. May 21–25, Montreal — XP 2019, the 20th international conference on agile software development, brings together experts to share the latest findings in the agile world. The forum is organized by Agile Alliance, a nonprofit organization helping to make software solutions more effective, humane, and sustainable. May 27–30, Toronto — ProjectWorld*BusinessAnalystWorld provides great opportunities for project managers and business analysts. Connect with your community to learn the latest in the field of change management, project management, risk management, communication, and leadership. January 24–25, Paris — The International Conference on Construction Engineering and Project Management is organized by the International Research Conference, and will present a science-oriented program. 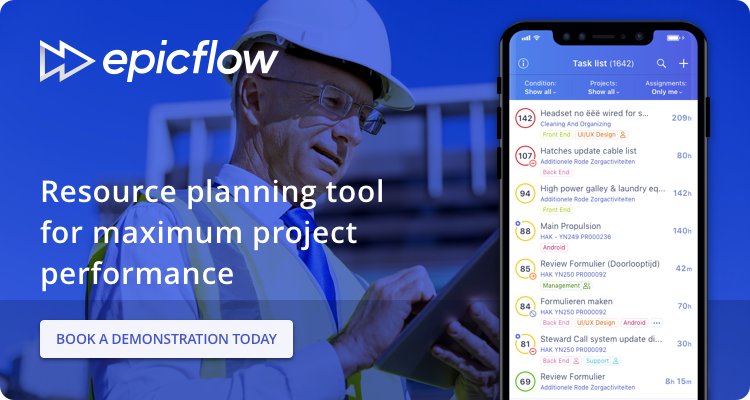 Determine the most significant factors contributing to time overrun in the pre-construction planning phase of construction projects. Use project management methodologies along with Dickeson’s Prioritizing Academic Programs model. Identify typical behaviors of construction projects to develop a prognosis and management tool. These are just some of the things you’ll learn from leading scientists and researchers. February 13, Paris — La Conf is an ambitious conference for product owners. This year, the conference’s theme is “Product Revolution.” Gojko Adzic, the author of Humans vs. Computers, Impact Mapping, Specification by Example, and other books will discuss how to get maximum impact with minimum effort. Amelia Matar, the founder at COLORI, which develops Montessori-inspired activities without screens to introduce children to technology, code, and logic, will represent her case study and share valuable insights on how to own your product. Join the event for more remarkable speakers. It’s especially great if you’re developing your own product. February 21–22, Paris — The International Conference on Lean Six Sigma and Project Management is another event from the International Research Conference organization that’s delivered by scientists for scientists. This event will teach you how to implement LARG (Lean, Agile, Resilient, Green) practices in supply chain management. Industry researchers will show you what leagile tools are and how to apply them in your organization. June 6, Paris — La Product Conf will bring together 750 product people to exchange experiences in product management. The list of speakers for 2019 is not available yet, but previous participants from Blablacar, MeilleursAgents, RogerVoice, and many other companies have established an excellent reputation for the event. March 14–15, Berlin — The 3rd Annual Tunnel Design & Construction Summit invites you to discover the best tunneling practices around the world, including key skills and tools for managing complex tunneling projects. This event is an excellent opportunity to share your ideas about the future of design and construction technologies with other tunneling professionals. March 28–29, Berlin — The 2nd Digital Construction Summit is an exceptional opportunity to share recent news about construction software solutions with industry leaders like Marcus Rowsell, Head of Special Projects Innovations at Hochtief, the seventh-largest provider of construction-related services in the world and the market leader in Germany. At this event, you can learn about IT support and real-time collaboration, digital fabrication and machine guidance on large infrastructure projects, and cyber attack risks for construction. June 4–5, Frankfurt — The Gartner IT Infrastructure, Operations & Cloud Strategies Conference speaks for itself. As the world’s leading research and advising company, Gartner charges its events with the latest insights, strategic advice, and practical tools to make every business and organization thrive. Dive into emerging trends in IoT, AI, automation, DevSecOps, edge computing, and digital platforms. Learn all you need to know about the cloud as a vehicle for next-generation digital business and discover how to overcome the challenges impacting your organization and career. November 28–29, Berlin — Automotive Agile PEP is Europe’s leading business event on the integration of agile principles, methods, and practices into hardware and software development in the automotive industry. It’s a great chance to meet outstanding speakers like Dr. Hans-Peter Hübner, Executive Vice President of Chassis Systems Control at Bosch, who will talk about strategic direction and how to master growth and complexity while keeping your organization agile. Anders Alminger, a Senior Systems Architect at Volvo Car Group, will talk about how to keep agile transformation running in your company. You’ll also meet great speakers from Volkswagen, Daimler, Honda, and other world-famous automotive brands. February 28 – March 2, Trivandrum, Kerala — RAC 2019 is the fifth Project Management Research & Academic Conference hosted by the Indian Institute of Management in Kozhikode and co-hosted by the Indian Institute of Information Technology and Management in Kerala. Learn how to manage different projects involving disruptive technologies like blockchain, artificial intelligence, Internet of Things, 3D printing, and big data analytics. March 18–23, Bangalore — Agile India is an annual conference organized by passionate volunteers. This seven-day event with a 14-year history will host speakers from Microsoft and Lloyds Banking Group to deliver insights on design innovation, DevOps and continuous delivery, and business agility. Keynote speakers include Amy Jo Kim, a social game designer, community architect, and startup coach who has had a hand in the design of Rock Band, The Sims, eBay, Netflix, Cover Fashion, and many other products. Agile India offers free, on-site childcare. April 10–12, Amsterdam — The Global Engineering, Procurement, and Construction Project Management Forum is a must-attend event for business and projects leaders from the energy, oil and gas industry. Discover the whole lifecycle of engineering, procurement, and construction projects from the initial stage through delivery. Take advantage of networking with peers and exchange knowledge of the field. April 11–12, Delft — Project Management Congress 2019, organized by the Delft University of Technology and the Project Management Institute, will show different points of view with a focus on current and future trends in project management. Use this opportunity to gain the latest knowledge from professors, researchers, business leaders, and practitioners in the field. June 17–20, Amsterdam — GOTO Amsterdam is an annual software development conference suited for team leaders, project managers, developers, and architects. Go to Amsterdam to discover the tools and techniques you need today. Learn what to expect from software developers in the future and what you should focus on. July 16–17, Amsterdam — The 2nd International Conference on Artificial Intelligence, Robotics & Internet of Things will explore the latest trends in manufacturing, automation, healthcare, energy, transport, and other industries. If you’re interested in technologies, this event is for you. The scientific session will showcase recent solutions in natural language processing, artificial intelligence, IoT, automation, and robotics. September 24–26, Rotterdam — The International Conference on Computer Applications in Shipbuilding may catch the interest of business and project leaders in the field. Come to ICCAS 2019 to understand global developments in computing technologies within the shipbuilding industry and learn how to use them at any stage of a ship’s lifecycle, including during detail design and planning. April 8–9, Warsaw — Portfolio Experience is the top conference in Poland covering the subject of Project Portfolio Management and Project Management Office. This year, you have an excellent opportunity to discover PMO as the transformation enabler. Join this event to learn how to change organizational structures in the best possible way and how to align projects and portfolios strategically. Study real cases to learn the key steps in project portfolio implementation. April 15–16, Gdansk — New Trends in Project Management is organized by PMI Gdańsk and focuses on project management in different industries. The eighth edition of New Trends in Project Management will consist of three tracks: an inspiration track to discuss lessons of successful and failed projects, a movement track to show the paths of transformation from waterfall to agile, and a workshop track to discover new ways of working, communicating, leading, and managing people. May 23–24, Krakow — The ACE! conference focuses on how to improve software development using agile, lean, Scrum, and Kanban, while the product track is all about creating products correctly. Keynote speaker Mike Burrows, the evangelist of outcome-oriented change and continuous transformation, will talk about inverting the organizational pyramid so that supporting change becomes an organization’s responsibility. Nienke Alma, an agile enthusiast with ten years of experience, will show an example of a two-year transformation to become a leadership team with an agile mindset. Join ACE! and discover more. February 20–21, Portsmouth, Hampshire — The SMI Annual Conference calls together experts from the highest echelons of the shipbuilding industry and government to review current and future developments in shipbuilding. If you’re dealing with shipbuilding projects in the UK and want to learn how to implement the United Kingdom’s National Shipbuilding Strategy, this conference is for you. March 4–6, London — Gartner CIO Leadership Forum 2019 will encourage you with the latest leadership trends and give all the knowledge you need about digitalization. The program consists of three tracks: digital innovations, culture shaping, and product management, each of which contains a wide range of topics. Learn how to survive in the world of digital dragons by implementing new formulas for teamwork and managing your product right. Gartner’s conferences are some of the most anticipated, so it’s high time to book your ticket. March 6–7, Manchester — The Deliver Conference is for those who want to increase their knowledge of leadership, effective team culture, people-first transformation, and other team-oriented issues. We’re looking forward to meeting this year’s experts! March 7–9, London — The International Conference on Business, Management and Finance is an excellent opportunity to listen to academics, doctoral students, and practitioners at the University of London. The conference covers current and challenging issues in various management and financial fields. If you prefer scientifically-oriented conferences with tons of research, then this elegant and English-style event is for you. March 21, Edinburgh — The APM Project Management Conference, organized by the Association for Project Management, is a must-attend event for project leaders. You may choose one of two streams: sustainability will cover tools and techniques for project, program, and portfolio professionals to succeed in projects. Investing in the profession will address career development, diversity, and education in the context of a growing and powerful profession. May 2, London — APM Project Management Conference London is another grand event hosted by the Association for Project Management, promising a broad range of speakers from different sectors to share valuable insights with project professionals of all backgrounds. The keynote speaker for this event is Araceli Camargo, a cognitive neuroscientist and science communicator who has helped Total, Aecom, Nike, and Virgin understand the mechanics behind human behavior and create smarter experiential brand engagement and products. May 23, London — The RICS Construction Conference is a must for those in the UK construction sector, as RICS advocates development and excellence in the management of land, real estate, construction, and infrastructure. Puzzle out current market conditions and property cycles with results from the latest RICS Construction Survey. Discover how the collapse of Carillon has impacted the industry and how to prepare yourself for such an event in the future. June 5, London — The RICS Digital Built Environment Conference is all about technology trends to help you and your business thrive. The event will gather digital gurus to share the latest solutions for enhancing your day-to-day business practices. June 13, London — Come to PMO Conference London to discover next-generation approaches to achieve maturity and change the mindset of your portfolio, program and project offices. Learn how to make smarter project decisions and resolve common problems within PMO environments. The list of speakers is impressive as well as the program, which includes many opportunities to refresh, rethink, and rebuild your existing PMO. July 11–12, Falmouth — Agile on the Beach is a hot midsummer event focusing on product design and management, teamwork, agile practices, and software delivery. In the past, this event has seen rapid tickets sales. This year, the mega early bird tickets are already sold out. Looking at how things went last year, we’d buy our tickets right now. October 17, London —The Future PMO Conference held by the Wellington PPM consultancy is dedicated to improvements in the field of project and portfolio management. Meet Ben Brownlee, Programme Assurance Director at the BBC, who will talk about the challenges of setting up and leading PMOs. And don’t miss the discussion by Ellen Jarrett, the PMO and Programme Director at Ella’s Kitchen, who will share her tactics for aligning your PMO to the values of your company. February 5–7, Anaheim, CA — Medical Design & Manufacturing West is the best conference for those seeking the latest trends in the medical field. This conference showcases new technologies in the design and manufacturing industries, market trends for medical devices, and tactics to speed medical devices to market and ensure adoption. February 10–13, Nashville, TN — The 8th Resource Planning Summit is dedicated entirely to resource planning, with talks by leading experts in the field of resource and portfolio management. To make you even more interested, the organizers have invited celebrity keynote speakers — filmmaker and screenwriter David Hayter to give you a couple of team building lessons together with songwriter and humorist Patrick Henry to share how to keep your resource management team in tune. March 20–21, Detroit, MI — Manufacturing in America invites you to participate in a grand event showcasing all of the latest technology used in manufacturing. Raj Batra, the President of Siemens, and Rich Laramee, the President and COO of Electro-Matic, will be among the speakers. Choose from 50+ hands-on product demonstrations and network with over 3,200 industry professionals from over 800 companies. March 25–27, Orlando, FL — Project Summit Business Analyst World lets business and project leaders dive deep into the results of the latest project management research. Speakers will present talks on a wide variety of topics – for example, how to manage multi-million dollar programs, how to fix broken project prioritization, and how to cancel projects properly. The keynote speaker, Nelson Cabral, the world’s only Triple Threat Creative Leadership Expert, will discuss a new style of project management resulting from digital transformation for accelerating innovation and driving change. March 26–27, Chicago, IL — The American Manufacturing Summit serves as space for manufacturing industry leaders to learn the latest trends in plant floor operations and manufacturing strategies. The event will cover manufacturing profitability, manufacturing innovation, the collaborative business model, and plant floor optimization. April 28 – May 1, Orlando, FL — The Change Management conference covers a wide range of topics related to the evolution of change in the era of digital transformation, generating business value through project and change management, and steps to change leadership. On the website, you can even find a letter for your boss explaining why you should attend the event. April 28 – May 2, Chicago, IL — GOTO Chicago is a software development conference that will answer questions like how to improve productivity with automated decision-making and how to work effectively with people from different disciplines and backgrounds. The program is full of technical topics from how to level up your Python and build secure APIs and web applications to developing inclusive leaders and diverse teams. April 29 – May 1, Washington, DC — Project Summit Business Analyst World is another event from the most extensive series of conferences for project managers. It aims to provide you with the skills, tools, and techniques to improve your project management. May 9–10, College Park, MD — The UMD Project Management Symposium is a great hub for scholars and practitioners to gather and learn the best project management practices. Session topics for 2019 include construction management, stakeholder management, change management, conflict resolution, and strength-based management. May 20–22, Austin, TX — Global Scrum Gathering Austin will gather 1,000+ Scrum and agile practitioners to discuss AI and machine learning in Scrum teams, agile coaching, developing practices essential for scrum teams, and other vital topics in the field. Use this opportunity to become more agile. Tips on how to convince your boss are included! May 29–31, Detroit, MI — Agile & Beyond is another agile-oriented event intended to help business and project leaders learn about the latest agile principles and practices. This is an entirely volunteer-driven conference, which makes it affordable. June 13–14, Boston, MA — Project Management in Practice is an educational event taking place at Boston University and providing knowledge of technical project management, leadership, and strategic and business management domains. August 5–9, Washington, DC — Agile Conference offers a rich program for experts in agile software development. Discover proven techniques and experiments with a project, program, and portfolio management in agile organizations, learn how to grow the next generation of leaders, and find out where agile works and what can go wrong. October 5–7, Philadelphia, PA — The PMI Global Conference is a three-day event organized by the Project Management Institute. PMI events gather thousands of practitioners, chapter leaders, and business professionals from around the globe. At this conference, you can test your skills and try out new products and services that can help you improve your job. October 20–22, Orlando, FL — Digital PM Summit will gather like-minded people to share insights on how to implement projects successfully, keeping your team engaged, clients satisfied, and budget within limits. November 3–6, Denver, Colorado — PMO Symposium is another event organized by PMI. The program has already been announced, and it looks impressive, allowing you to see behind the scenes of real-world projects at Amtrak and visit NASA’s Goddard Space Flight Center and hear directly from project leaders and others about how they manage their great projects. Don’t miss new opportunities. Visit at least one PM conference from this list to discover the latest industry insights. Your new experience together with progressive tools for multi-project management will help you fight project complexity. 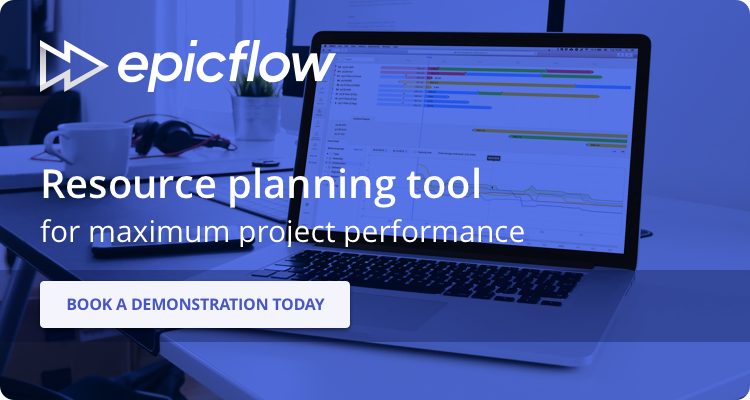 Book a demo and learn how Epicflow makes complex environments easy to manage.